PAME and the class unions of Greece express their sadness for the death of the veteran militant, immigrant unionist George Gotsis, who died at dawn on April 13, while hospitalized in Sydney, Australia. 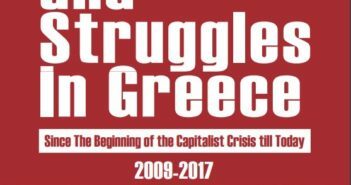 Giorgos Gotsis leaves a great heritage to the International workers’ Movement. His struggles and action will be our guide. PAME expresses its warm condolences to his family and his comrades.